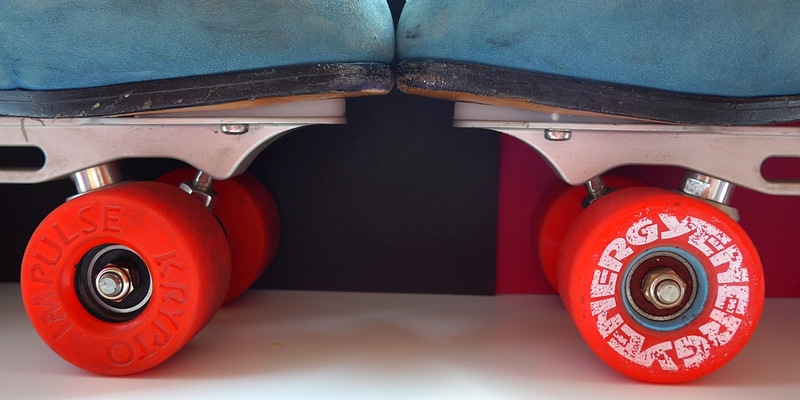 Outdoor roller skates differ from indoor skates mainly due to the wheels. For outdoors, usually softer, wider and larger wheels are recommended. Soft and larger wheels provide a smoother roll on non-smooth surfaces and terrain. In contrast Kryptonics introduced in the early 1990s the “Krypto Impulse”, an outdoor wheel, which was the same shape as indoor freestyle wheels, only 57 mm in diameter and 32 mm wide. 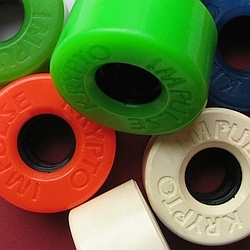 The polyurethane was Kryptonic’s legendary very elastic 78A compound. 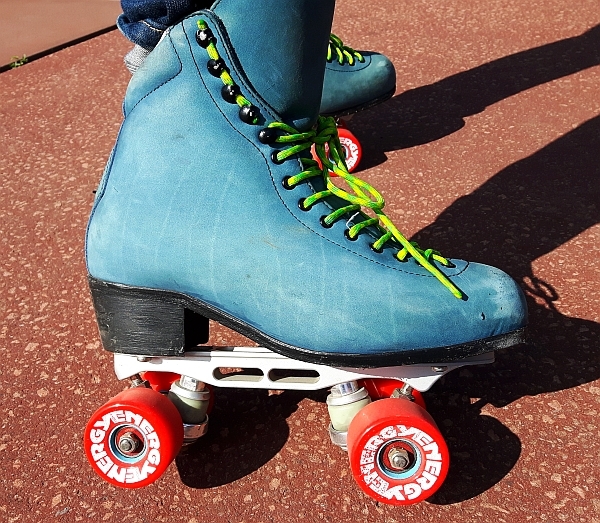 In addition the smaller wheels reduce the weight of the skates: 100 g (3.5 oz) less per skate compared to 62 mm diameter wheels, up to 150 g (5.2 oz) less compared to 65 mm wheels. 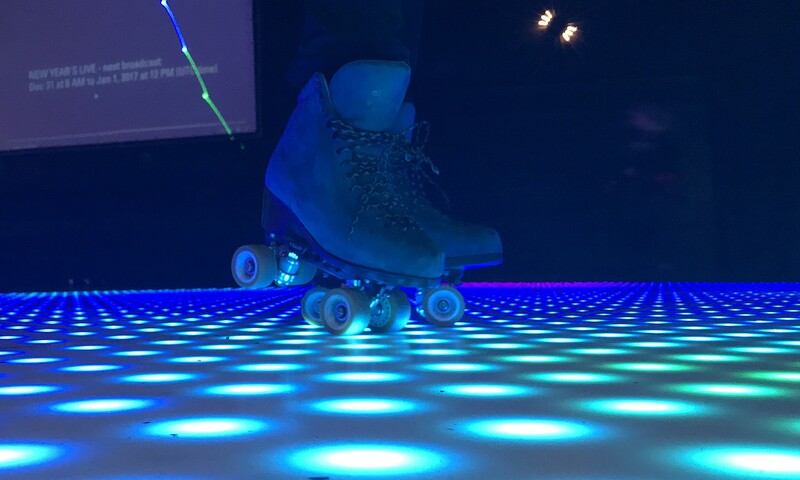 This brought together a perfect mixture of the good roll on rough surfaces with the agile skating of smaller wheels and lighter skates. 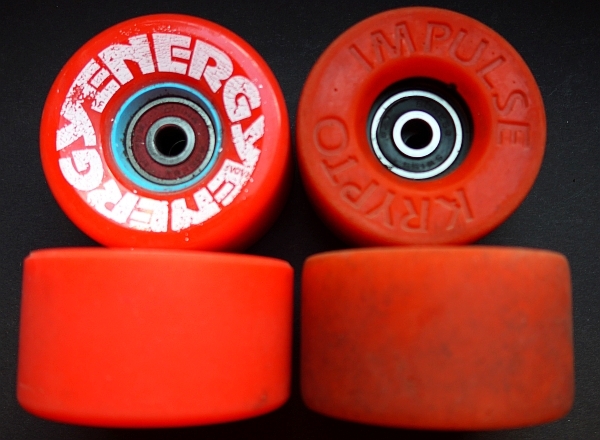 25 years later, the Impulse are hard to find second-hand, and there were no comparable wheels until Riedell launched the Radar Energy 57 wheels last year. These wheels come in the identical shape and durometer as the Impulse. It is a 57 mm diameter version of the very popular Energy wheels, which are available also in larger 62 mm and 65 mm diameter. Two wheels, same size, same hardness, but 25 years difference. … and how do they roll? I gave them a try on the rough Berlin sidewalks, streets, and park paths. All in all great wheels. Instantly I noticed the less elasticity, so not such ‘bouncy’ feeling like the Impulse. Nevertheless the Energy are mastering edges and pebbles very well. Most remarkable, I never felt unsafe while skating, whereas the Impulse sometimes let you know, that they are smaller wheels when striking against edges in the pavement. The grip turned out to be the main difference. The Energy wheels really have a good grip. Other than the Impulse, which allow also some minor but noticeable slide, desired for plow stops and other moves that needs more non-sticky contact between surface and wheels. On the other hand the rolling resistance of the Energy is low. Considering the small diameter, they are fast wheels. The Energy 57 wheel is a worthy successor for the Krypto Impulse. Suitably for all skaters, who like very light and agile outdoor roller skating, without making too much concessions to the comfort, stability, and speed. The Impulse wheels referred to in this article are the vintage Krypto Impulse with 57 mm diameter. Currently there are wheels offered as ‘Krypto Impulse’ with 62 mm diameter. These wheels are different from those old Impulse wheels, both regarding size and material. This review is based on the author’s own experience and was not sponsored or supported by any companies cited in the article. In short: I bought the wheels!